Go Integrator comes with a built-in SIP Softphone*. 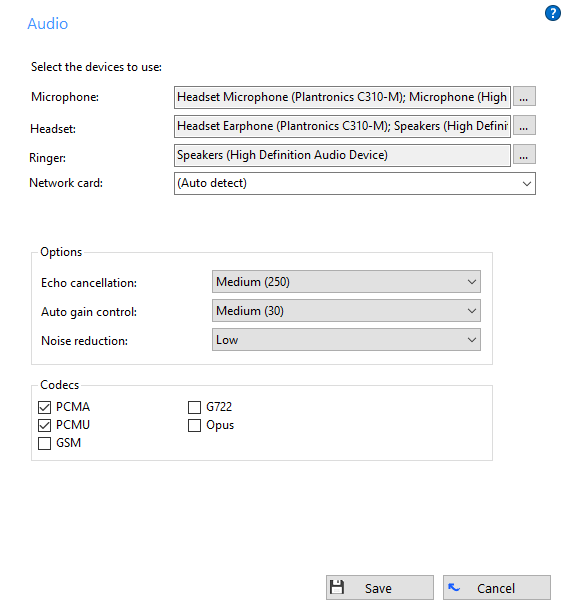 To use this, simply check the 'Use softphone' box from the 'Telephony' configuration menus and select your preferred audio device from the 'Audio' configuration menu as shown below. Multiple audio devices can be selected and the software will attempt to use whatever audio device is available based on the order they are listed in. 'Options' and 'Codecs' should be left on their default settings unless your system administrator tells you otherwise. 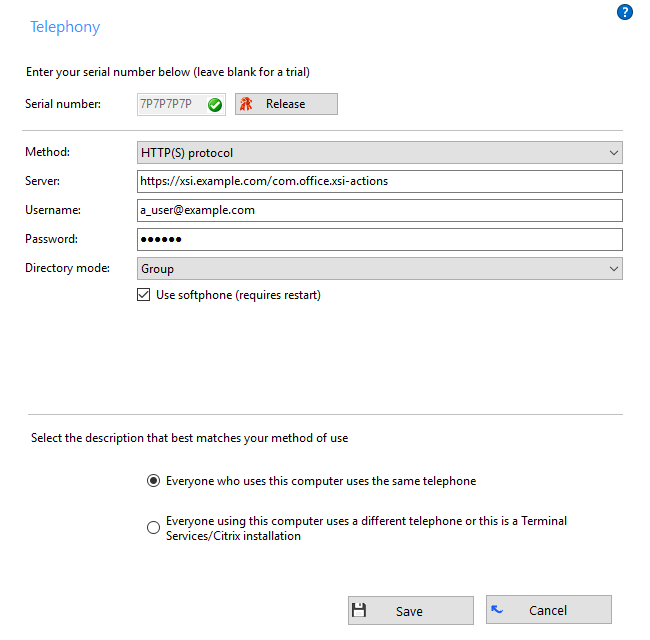 To use the softphone, your BroadWorks user profile must have a Go Integrator softphone device profile added as a primary or shared appearance device (it will also work with an existing UC-One profile). * Softphone is not included with all versions of Go Integrator. Please check with your Service Provider if you require more information.